Join the Healdsburg Young Professionals & Entrepreneurs for networking, wine, and hors d' oeuvres! Enjoy constructive networking exercises, small bites, door prize, and making new connections! 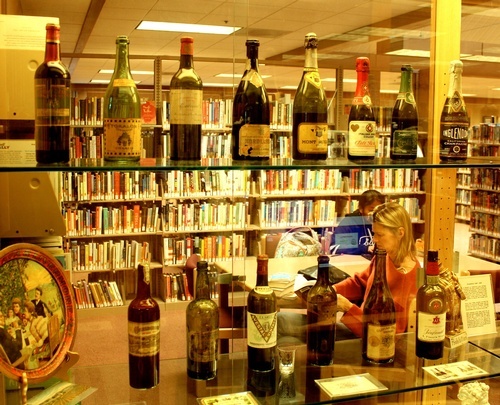 The Wine Library, dedicated in 1989, is one of the most comprehensive collections of wine information in the world. In addition to a collection of 5,000 books—covering both the most recent literature and over 1,000 rare books dating back as far as 1514—the Library maintains subscriptions to some 45 periodicals and oversees IWRDB.org, an index to wine information for the global wine research community. The Library also serves as a historical archive of the North Coast wine industry. Complimentary for HYPE Members (rsvp to hype@healdsburg.com).